The GPS projects for 2019 have been selected! Please visit our GPS 2019 page to find out more. Goethe-Institut Project Space (GPS) is a multi-disciplinary roving project space. The programme supports work realised all over South Africa ranging from workshops to exhibitions, events and performances; including visual art, literature, film, music, dance and theatre projects. GPS is envisioned as a non-commercial, artist-centered free platform, designed to support not only the artists and their projects, but also the many structures, spaces and festivals that currently exist and need partnerships of this nature in order to continue their work. GPS enables creators in all artistic disciplines to select the space and infrastructure they wish to work with. If awarded, a GPS grant would support both the hosting space and the project itself. The new project signals a move to decentralise, supporting smaller spaces, and also those situated outside of the large metropoles. Practitioners will be able to produce their work locally with a partner of their choice and a GPS grant. A public call for proposals is presided over by an independent jury of arts professionals, who make the project selection. 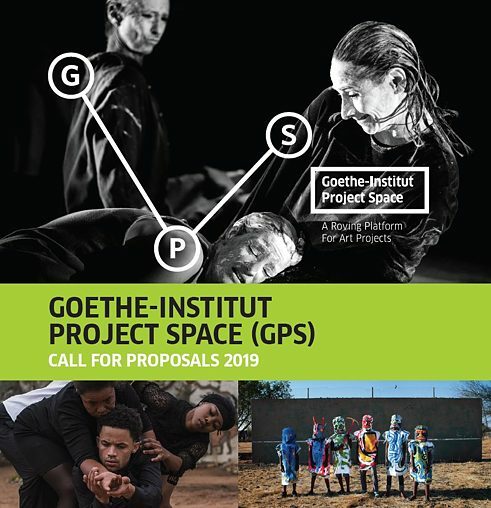 The Goethe-Institut looks forward to seeing installations, workshops, events and performances; including visual art, literature, film, music, public art, dance, theatre work and digital art; realised throughout South Africa through GPS grants.